Qualcomm is no Rookie when it comes to making processors but most of their products have catered to the mobile hardware. Apple has been leading the charge in the A- Chips for the mobile devices and Samsung’s Exynos has been trying to rival it but when it comes to Android hardware, Qualcomm is the gold standard world wide. Yesterday Windows Central published an article about Qualcomm’s ‘extreme’ Snapdragon 8cx processor that can handle dual 4K displays built for Windows 10. This is a big deal and for so many reasons. 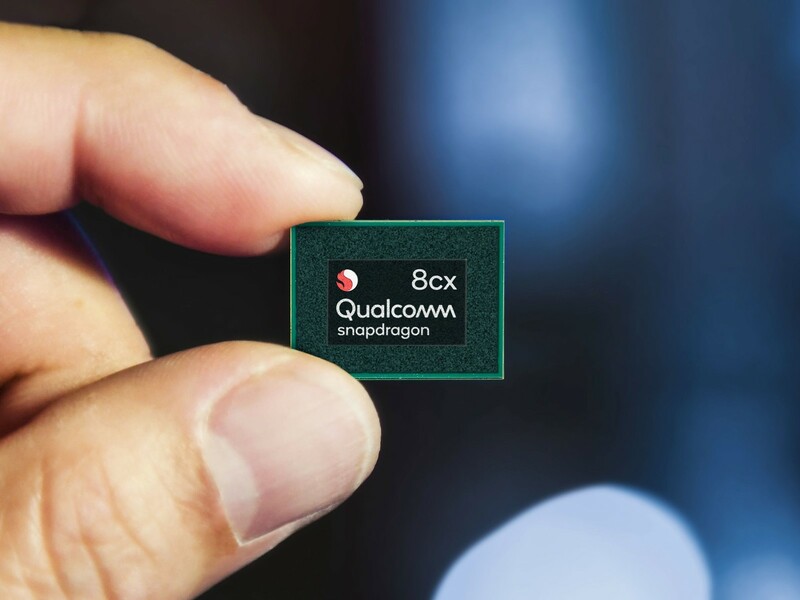 Qualcomm is sticking with it’s commitment to ACPC (always connected PC) and they moved forward with it at the Snapdragon Summit in Hawaii when they announced Snapdragon 8cx. It is an all new seven nano-meter processor that id the first of it’s kind for Windows 10 PCs. It is expected in the 3rd quarter of 2019, according to Qualcomm. 8cx features the new Adreno 680 and Kyro 495 CPUs which more powerful and in a different league when compared to the current phone processors. With twice the performance over the last generation, Qualcomm promises 60 % increase in power efficiency and much better battery life. There is also now an X24 LTE Category 20 modem with a top theoretical download speed of 2 Gbps and 316 Mbps upload. Graphics performance with hardware acceleration and 4K HDR playback at 120 fps for streaming will be a thing of ease for the new GPU. It can also support up to two external full 4k displays with HDR. Storage is getting a boost as well for now there is support for much faster NVMe SSDs instead of eUFS 3.0. Other changed include additional connectivity ports with 2nd generation 3.1 over Type-C and 3rd generation PCI-E allowing unlimited peripherals. 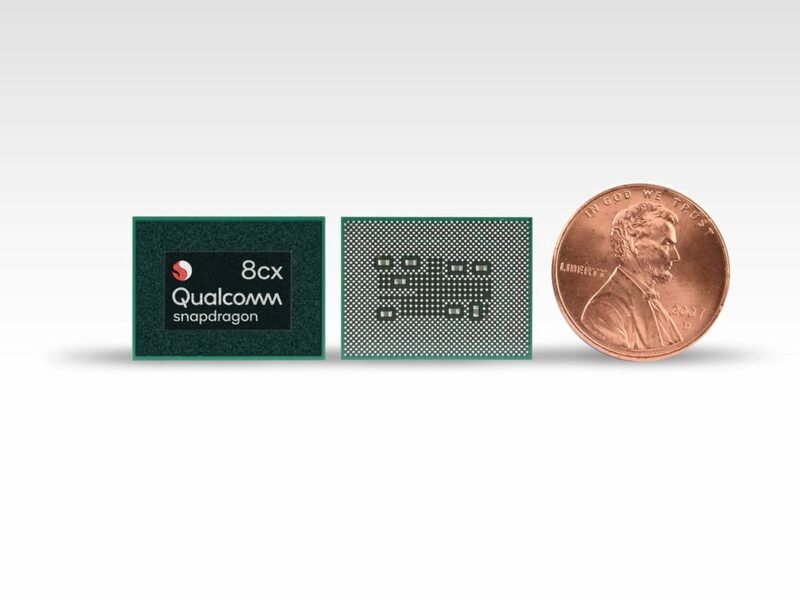 Artificial intelligence is also featured with Qualcomm’s fourth-generation AI engine on board. Also an enhanced voice assistant experiences for Alexa and Cortana from the Hexagon 685 DSP and new “All-Ways Aware technology.” There is also support now for Bluetooth 5.0 and Qualcomm Quick Charge 4++ technology. Snapdragon 8cx also brings the first Windows 10 Enterprise certification to a Snapdragon platform, which is critical for adoption by businesses who are interested in an always-connected PC platform. 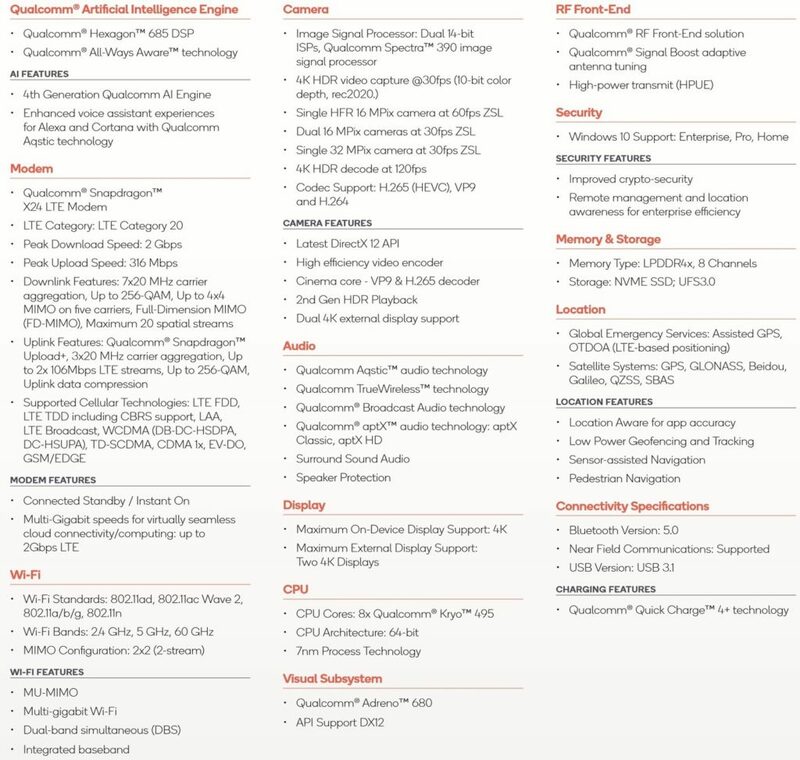 The “cx” in the name stands for “compute” and “extreme” and being a high tier processor is expected to be expensive and built for powerful devices. It is not something Qualcomm just whipped up, this has been a work in progress for last few years.